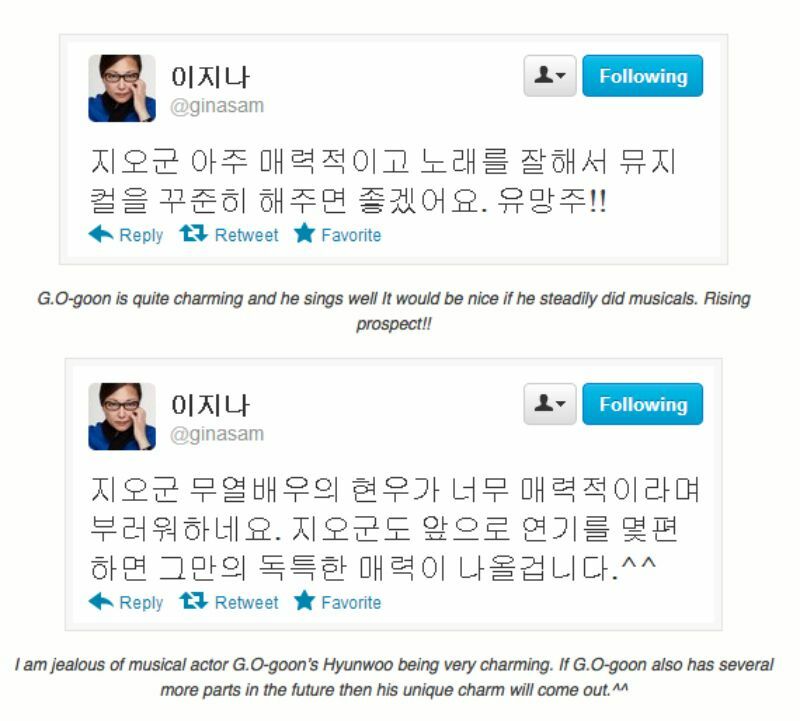 Every moment that G.O shared the stage with a co-star in any one of his three musicals constitutes (in my opinion) a heavenly collaboration. So far I have looked at his on stage collaboration with Jang Eun Ah in Seopyeonje and recently, an off-stage moment with Go Young Bin sharing a song from 바람의나라 [The Kingdom of the Winds]. Likewise, in Gwanghwamun Sonata G.O shared collaborative moments with his co-stars, and this playful scene with Yoon Hyung Ryeol is one of my favorites. You know, I can probably ‘ship G.O with so many but I think my favorite (the absolute ‘ship winner) has to be G.O and music. Sometimes I think there is absolutely no thing or person that will ignite G.O’s soul and complete him the way music does. I come to this conclusion by simply watching him. Listening to him. Feeling every inflection, nuance and note. 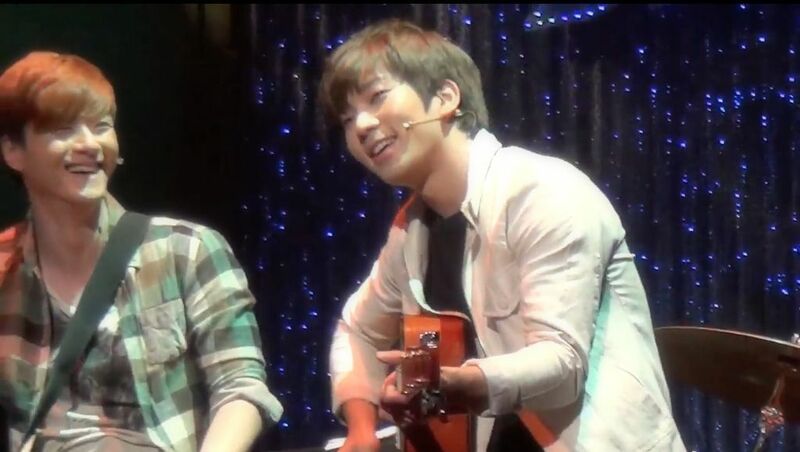 Hyung Ryeol and G.O in their respective roles of Sang Hoon and Hyun Woo in Gwanghwamun Sonata are singers, writers and composers writing songs of love and life as they spill out their hopes and dreams in the Blue Azit cafe in Gwanghwamun during the turbulent political times of 1980’s Seoul. Sang Hoon is the steady mentor and Hyun Woo, the wild and talented spirit that cannot be tamed. Yet, collaboratively the two men meet on common ground: Music. When I read about this musical, watch the cams and listen to the music, I wish so badly that I could have seen it live. 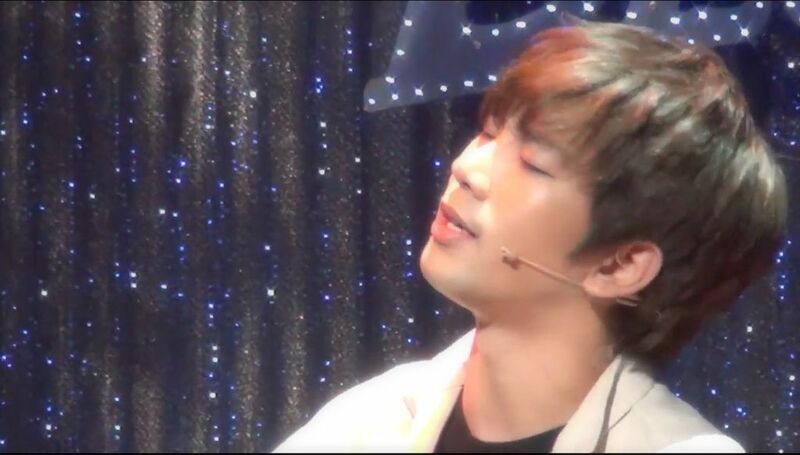 As much as I want G.O to explore many different avenues of musical theater (if he decides to pursue it after discharge), I would give anything for a Gwanghwamun Sonata revival. Here, Sang Hoon and Hyun Woo are in the throes of writing 나의 사랑이 란것은 [My Love Is]. 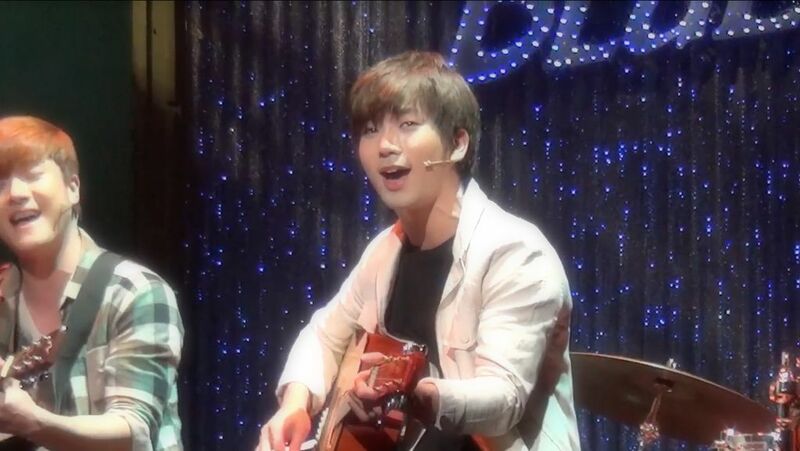 It is energetic, infectious and OMG…G.O with a guitar!!! So incredibly fabulous…right?!!!! 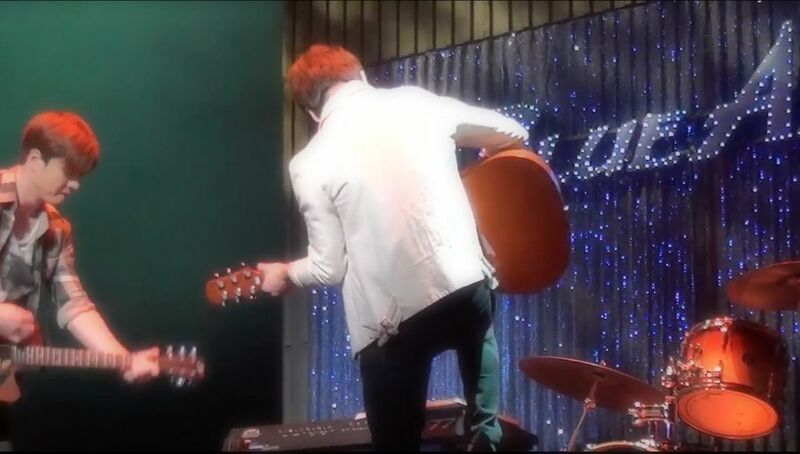 Hyung Ryeol and G.O sound so good together. Their harmonies are GORGEOUS!! In addition, they share a similar quality and tone and both are so effortlessly charismatic in this number. Love, love, love!!! 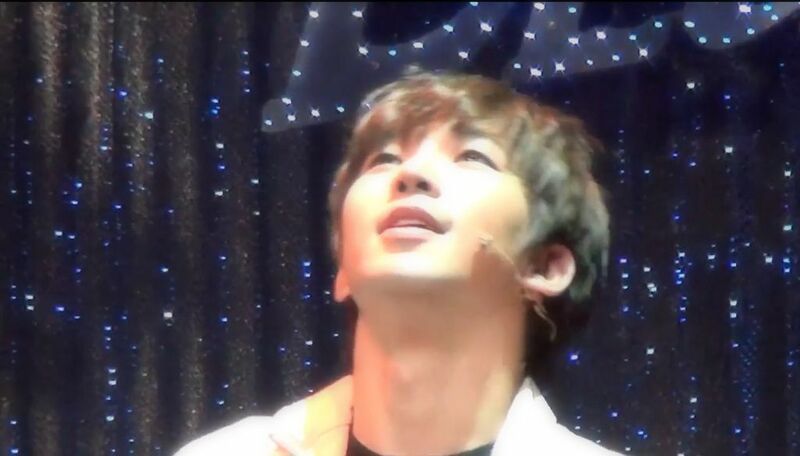 You know, I have always loved music but G.O has truly elevated my appreciation. He has changed the way I listen, the way I absorb, process and feel it. 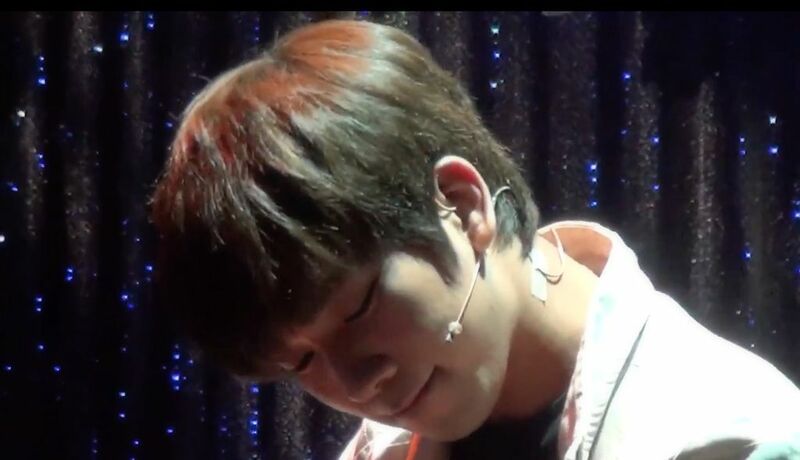 In performances like this one from Gwanghwamun Sonata, I realize he was playing a role. 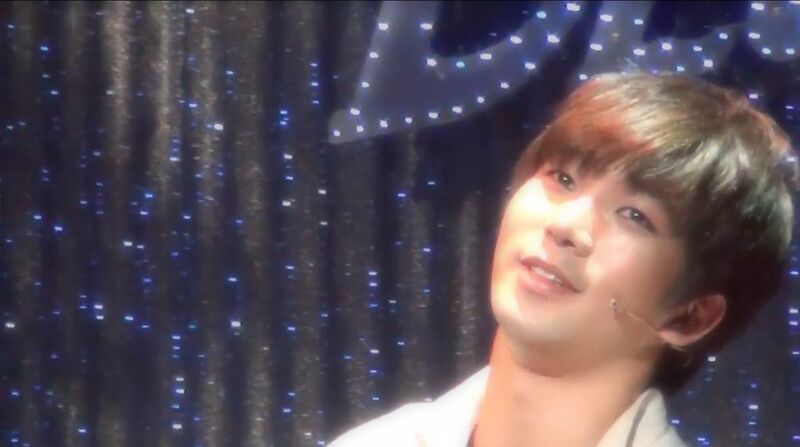 He was G.O, the musical actor. Nevertheless, the way in which he connects to the music is simply joyous. The way G.O connects ~ period. I hope music never ever releases him. 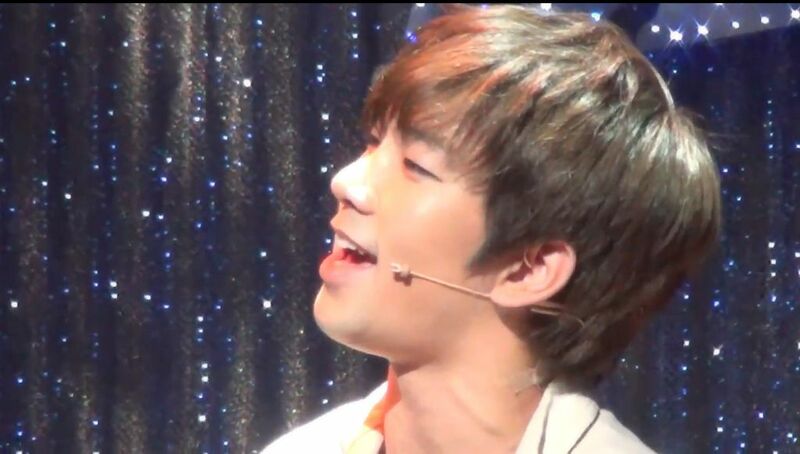 Categories: G.O Military Discharge, MBLAQ Musings, The G.O Files | Tags: G.O, G.O images, G.O's Military Service, Gwanghwamun Sonata, Gwanghwamun Sonata Musical, Jung Byung Hee, Jung Byung Hee images, Korean Musical Theater, MBLAQ G.O, MBLAQ G.O images, Musical Actor G.O, The Heavenly Collaboration, Yoon Hyung Ryeol | Permalink.